In late 2016, San Jose hired systems integrator AST Corporation to implement Oracle Service Cloud, which would provide the city with a consolidated service request and communications management solution. Until recently, San Jose, Calif., had no true 311 system to route citizen service requests for things like removing abandoned vehicles, fixing potholes and cleaning up graffiti. The explosion in the number and kinds of channels that people use to communicate with city officials, including mobile phones, email, websites, apps and social media, has complicated the task of creating a 311 setup. The city needed an omni-channel offering to reduce phone traffic while also providing a master record of all citizen interactions. Automatic routing of incidents; mobile, social and email marketing campaigns; and GIS were other goals for the city’s CRM setup. In late 2016, San Jose hired systems integrator AST Corporation to implement Oracle Service Cloud, which would provide the city with a consolidated service request and communications management solution. The goal was to offer the system via a user-friendly mobile app and within a platform that was integrated with management systems across city departments. 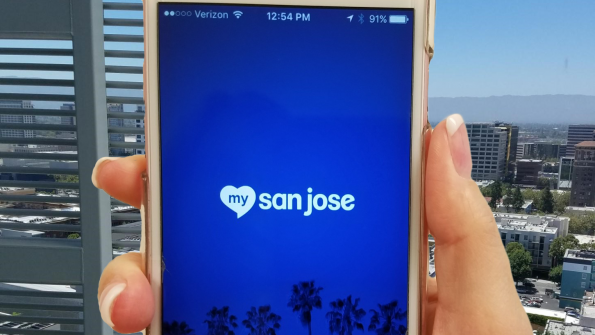 In June 2017, the city launched My San Jose, a mobile self-help platform built on the Oracle Service Cloud. Citizens can use My San Jose to initiate service requests, which are then communicated directly to city work crews. Real-time status tracking enables citizens to follow the progress of their service requests. Residents can download My San Jose on their mobile devices or access it through an online portal. They can report their service requests anonymously if they prefer by withholding their personal information. The app also includes My Home Services, a feature that allows residents to input their address to receive personalized neighborhood service information like street sweeping, waste collection and water service providers.